On account of our advanced production setup, we are able to offer Drive Drum Pulleys. We are offering a wide range of Conveyor Driving Motor Pulley. These are designed as per dimensions specified and can be made as per the demands of our clients. Conveyor Driving Motor Pulley are made from the standard and quality raw materials. Being a leader in the industry, we are engaged in trading a qualitative range of Spinning ABS Drive Pulleys. 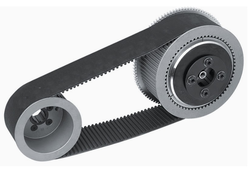 - Drive Pulleys are suitable for all kinds of spinning and doubling frames. 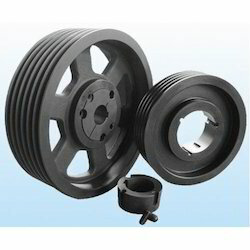 We are engaged in offering Drive Drum Pulley. The head and tail drum pulleys manufactured by us are readily available throughout the market at industry leading prices. These are fabricated by experienced professionals, who adhere to all internal quality norms while manufacturing. Leveraging on our industry experience, we have been able to develop an extensive range of CNC Turned Components. We use high quality raw material and ensure that our components are properly tested on various quality parameters. Further, to facilitate our clients, we can also provide customization on the entire range.